Wow! Best Raw Foods for Energy, Vitality & Amazing Health! Yes! Raw Foods for Energy, Vitality and Amazing Health! Hi folks, and a warm welcome to our April edition of Life Saving Health Solutions. Thank you for being part of our health circle once again and I hope you enjoy today’s newsletter and the information I'm going to be sharing with you. It’s been proven through quantum physics and the use of sophisticated measuring equipment that plants (along with us) give off energy. In fact, everything on this planet at a subatomic level is energy (remember, this is science talking here). Now scientists, including Dr Cousens, say that when you eat raw foods the energy of the raw food “matches up” with our energy, and this is what gives us - funnily enough - energy! However, when you go and cook your food you destroy this “energy” completely, so in essence you’re now just eating a dead food. In addition, cooking your food kills essential vitamins, amino acids and fatty acids, along with valuable live enzymes (enzymes are crucial for absorption). Live only by the fire of life, and prepare not your foods with the fire of death, which kills your foods, your bodies and your souls also. With that fire of death you cook your foods in your homes...it is the same fire which destroys your foods and your bodies… For your body is that which you eat, and your spirit is that which you think. . Think about when you eat a raw food compared to a cooked food? The raw food is much more energizing than the cooked version. You can just feel it. 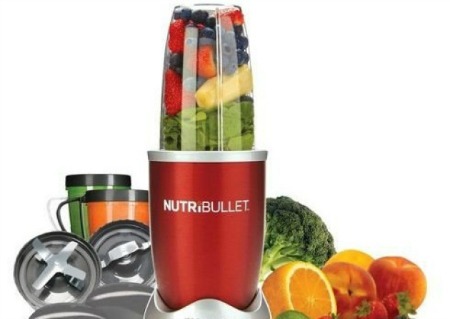 That’s why appliances such as the Nutribullet and Nutra Ninja have become so popular. People are finally starting to wake up to this fact, and the great thing about these machines is they make it so quick and easy to churn up and pulp your raw foods. Let’s face it, we’re all busy. Some people skip meals because they just don’t have the time to cook, or even worse, they’ll go out and buy takeaway instead. With raw food smoothies, it only takes a couple of minutes to make your meal. If you’re a slow eater it can take quite a while to eat a classic salad or fruit salad. With a smoothie you can either just drink it straight down or sip on it while you’re doing other things. Let’s be honest, raw broccoli, kale or spinach don’t taste that great. Mixing them in a smoothie with other tasty ingredients is a great way to get your greens without having to force yourself to eat them every day. When you cook foods, valuable nutrients and other co-factors are killed off in the process. These foods then turn from organic to inorganic and the body no longer recognizes them. With juicing and blending, NONE of the essential nutrients, antioxidants and co-factors are destroyed so they’re easily (and completely) assimilated. After you drink a raw food smoothie you definitely feel light and full of energy. Cooked foods make you feel lethargic and tired. Blended foods are easily digested by the gut. If you regularly suffer from stomach complaints, you’ll find this won’t be the case consuming raw food smoothies. When you make a raw food smoothie with your favorite ingredients it tastes delicious. For example, take some forest fruits, oats, spinach and mango and throw in some dates, pecans and vanilla and you’ve got yourself a Black Forest Fruit Cake Dessert Smoothie. This smoothie tastes just like an indulgent dessert, but it’s healthy! When you drink a blended food the body doesn’t waste energy on trying to digest it so it actually gives you more energy. The body can then use this extra energy for healing. I always feel more alert and awake when I have a raw food smoothie in the morning, even after a bad night’s sleep. You can easily pack more greens into a smoothie than what you would normally eat. Greens are incredibly good for us (especially first thing in the morning), but we don’t eat anywhere near enough. Adding a couple of handfuls of greens to your morning smoothie will help you feel a million bucks. And who would normally eat something like spinach for breakfast anyway? It’s quicker to blend up a smoothie than make other meals with the same ingredients. It takes a lot more planning and preparation trying to work out what you’re going to have for lunch or cook for dinner. You don’t have to wait for smoothies to cook. They’re ready straight away. All you have to do is rinse your Nutribullet or Nutra Ninja when you’ve finished. This literally takes seconds to do. Most people cook with added harmful fats. Whether it’s oil on a salad dressing or in a stir fri or oil in a pan. And they’ll usually add butter or margarine to their bread 13) You eat less of the bad fats: or potatoes and sauces as well. With a smoothie you get the healthy fats instead. You have to add some water or another liquid to your smoothies, and because most of us suffer from dehydration, it’s good to have those extra hydrating liquids. Smoothies are an excellent way to use up any leftover fruits and greens, the same as you would your leftover veggies in a soup. For two weeks have a cooked breakfast every morning before heading off to work. Bacon, eggs, toast, hash brown, fried tomato, whatever you like. After the end of the two weeks, switch over to only having a raw food smoothie for breakfast each morning. (Here’s some great morning smoothie recipes if you’re not sure how or what to make). Now, the first 3-4 days cannot be counted because your body will be detoxing, but after this you will definitely notice how much more energy and clarity of thinking you have, not just for the morning but for the whole day. If you’re someone who doesn’t normally have anything for breakfast, a raw food smoothie is still very easy to drink. So if this is you, after you’ve done two weeks of your normal no breakfast routine, switch to having a smoothie in the morning and see what an amazing difference it makes! Imagine if You Had Raw Foods For Every Meal? 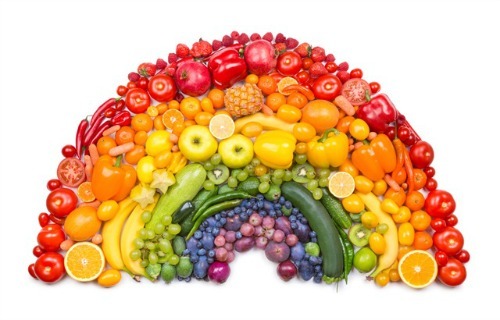 If you took this experiment further and decided to have some raw foods for every meal, you would notice an astonishing difference in the way you feel. It’s definitely something you have to feel for yourself to really understand. And I’m not saying you need to become a full blown vegetarian either (I’m not vegan). You can still eat meat if you want to - cooked not raw of course, unless you happen to like sashimi (raw fish). However, meat should only make up about 20% of your diet at most. Raw foods should make up 80-90%. For me, I like to make my raw food smoothie by combining fruits, vegetables, herbs and spices, along with adding either hemp seeds , chia, pumpkin or sesame seeds. And the herbs and spices listed in this article are not only extremely healthy, they help to add to the taste and flavor of the smoothie as well… 16 Spices for Smoothies. Personally, I used to be a steak, bacon and eggs man but once I switched to raw foods there was no turning back. Because of the way I started to feel and the incredible lift in energy I got, I literally couldn’t go back! I highly recommend you give it go. You won’t believe just how much better you’ll feel. Invest in something like a NutriBullet or Nutri Ninja (what I’ve got). Just don’t go for cheap versions. Initially, we bought a Magic Bullet (the cheap rip-off version) because it cost a lot less. But it never churned up the foods properly from day one and the motor ended up burning out. A total waste of money. Now we’ve got the top of the wozzer Nutra Ninja and it works a treat (it is a bit noisy though). Couldn’t be without it now! Researchers conducted a test and brain scan on each Alzheimer’s patient before the study. They then gave some of the participants the equivalent of a single cup of berries in a freeze dried powder form, and the rest of the patients a placebo. The study lasted 16 weeks. Leading researcher, Robert Krikorian Ph.D., stated after the study… "There was improvement in cognitive performance and brain function in those who had the blueberry powder compared with those who took the placebo. The blueberry group demonstrated improved memory and improved access to words and concepts". 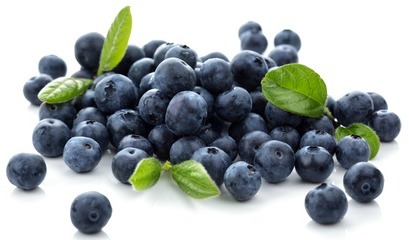 Researchers also conducted functional magnetic resonance imaging (fMRI), which showed a significant spike in brain activity among participants who were fed the blueberry powder. Blueberries contain some of the highest amounts of antioxidants and phytonutrients of any plant, and this is what’s thought to be the main contributing factor to the improvement. So basically, what these results are saying is if you want to increase your brain function, brain capacity and memory, start eating blueberries. And this is relevant to everyone, not just Alzheimer’s sufferers. Until next time, stay safe and stay healthy! If you like this e-zine, please do a friend and us a big favour and pass it on to them. If a friend did forward this to you and you like what you've read, please subscribe by visiting our website below. If you've missed any of our Life Saving Health Solutions newsletters then simply click on the back issues link to read. After being struck down with a severe and debilitating illness at the age of 26 and told by medical doctors that nothing more could be done for him, Troy Sawyer was left to search for his own cure, which he did find through natural recovery methods. Following three years of extensive research into nutritional therapies, he discovered that a deficiency of certain essential nutrients was the cause of his illness. Once remedied, Troy’s health returned to even greater levels than before his ailment. Today, more than 18 years later, he spends his time constantly studying and staying up-to-date with all of the latest developments happening within the natural health field, along with working as a health and fitness coach. He also continues to help as many people as he can to enjoy the benefits of good health and longevity through his natural health website. Troy today at 50 years young!